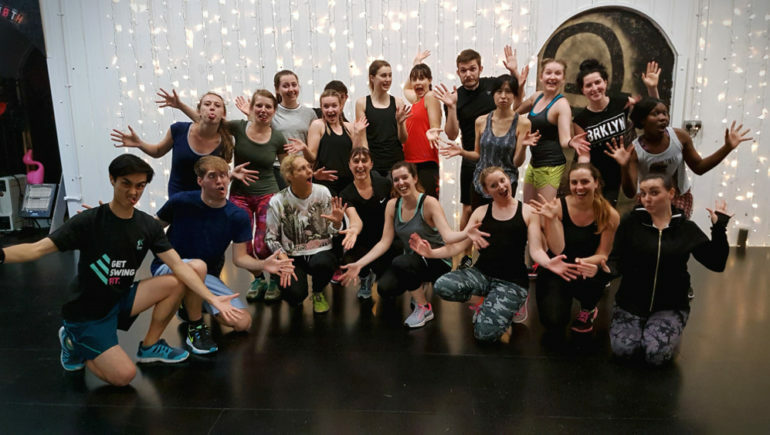 Situated literally under Clapham Junction station and 20 seconds from Grant Road exit, Off the Rails studios is home to the most fun dance fitness workouts in the UK (including SwingTrain). Semi-sprung dance floor, mirrors, male/female changing rooms, fairy lights in the background (! ), what more could you ask for! Join Jeff every Monday at 7.30pm on your way home and get your fitness fix for the week. Come along, let your hair down, and boogie to your hearts content.